You are here: Home › Alumni Journeys › You Look Marvelous! Recently, in a course called Language Analysis for Teachers: Grammar and Discourse I explored the topic of pragmatics as it relates to cross-cultural issues in the ELL classroom, and the dynamics of speech acts, which can include compliments, requests, suggestions, invitations, promises, and apologies among many others. What I learned in the myriad of research I combed through is that pragmatic competence is an indispensable aspect of language ability for second language learners. Essentially, this form is a simple and engaging tool that any teacher can use in their classroom. It allows students to become researchers or ethnographers who observe real-world circumstances in which speech acts are given and received. 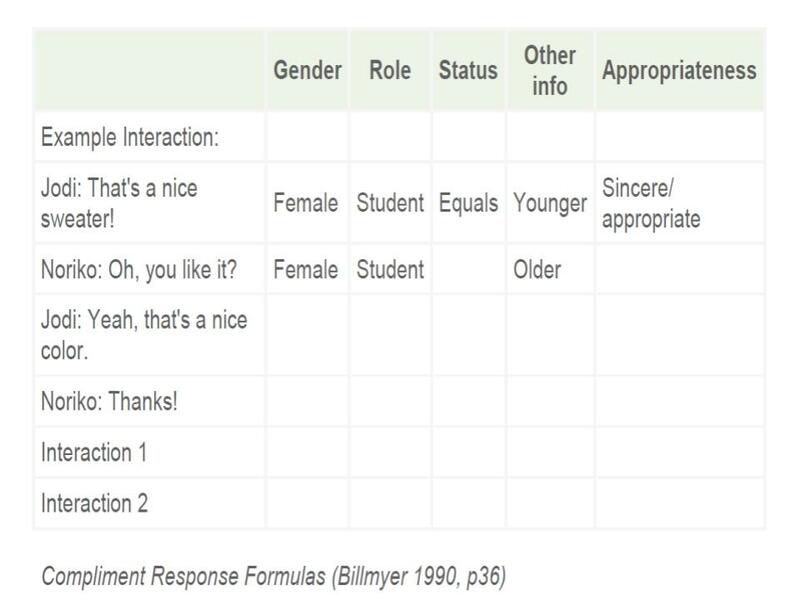 As a potential lesson idea, we can ask students to pay attention to any compliments that they give, receive, or overhear and then write them down on the worksheet, including the circumstances in which they were given and received in terms of role, gender, status, and any other pertinent information. For the next step, students work together in small groups to review their data, followed by a class discussion and analysis of the various compliment scenarios and even role play. Not only can these tasks be fun for students, moreover, they are awareness raising activities that are critical for learning pragmatics. Students can use it in multiple ELL contexts, be it with friends and family, watching TV, and even at work, to name a few. It also provides them with a level of control and autonomy that could well prove motivating for them in the process of building their interest and desire to learn more about pragmatic scenarios. While it is important for our students to understand that native-like behavior is not the ultimate goal, we also want to help them understand that divergence from native norms can lead to misunderstandings with unpleasant consequences such as unintentional rudeness, or hurting someone’s feelings. What we, as educators, can come to understand more fully, perhaps by reflecting on our own L2 language learning experiences, is that pragmatics differ greatly from one culture to another. Learning target language pragmatic norms can be invaluable for our students, who may very well feel more empowered in maneuvering in their new culture as a result of these skills. Finally, with greater understanding and even empathy, we can aim to educate our students on the key role of pragmatics. We then turn it over to them to choose for themselves how they wish to proceed along their language learning journey. 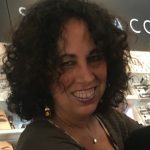 Author’s Biography: Miriam J. Weinstein is a first year MA TESOL student, who has been interested in ESOL for over 20 years. This is a new career for her as she has worked in the corporate world for most of her life. 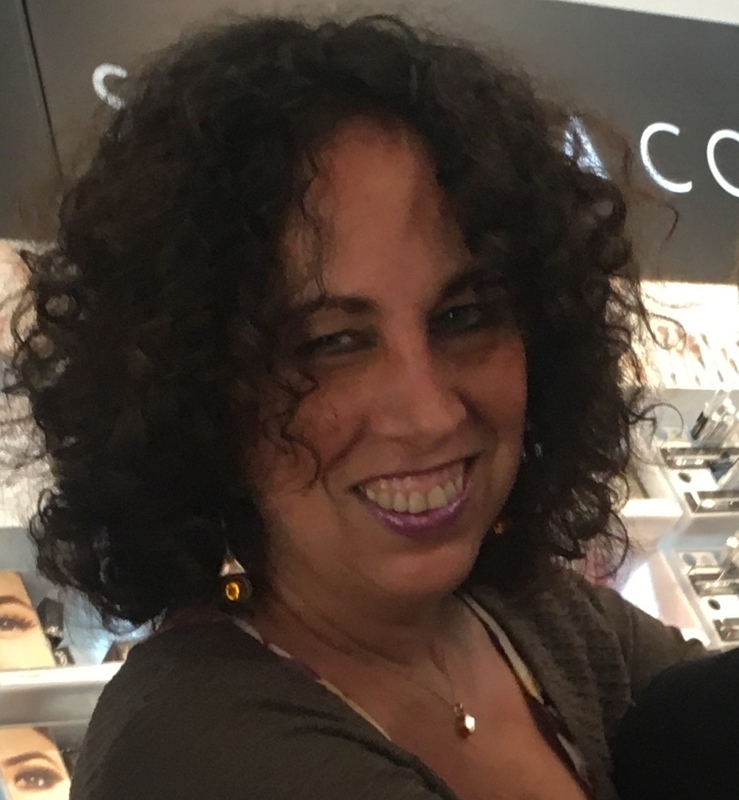 She earned her BA in Religion from Hunter College, and joined the New School’s 2016 Certificate Program in their EFL Teaching Practicum in Poland. Miriam is very excited to be studying at the New School, and following her long-held dream of pursuing studies in TESOL.